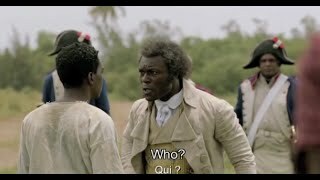 Toussaint Louverture leads a surprise attack on a French dispatchment that attempts to surround his Haitian stronghold and quell his rebellion. This clip appropriately illustrates the brutality that is characteristic of the revolution. Why does the general not bombard the powder as is suggested to him?